George Caleb Bingham was born on 20th March, 1811, in August County, Virginia. 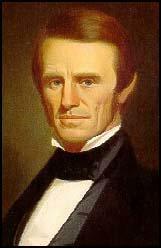 In 1819 the family moved to Franklin, Missouri. Bingham's father soon died, and the family moved to Arrow Rock. 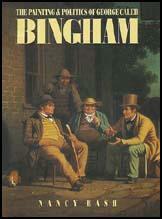 In 1827 Bingham became an apprentice to a cabinetmaker in Boonville. After a short period at the Pennsylvania Academy of Fine Arts he tried making a living from painting. As well as portraits he painted frontier life. 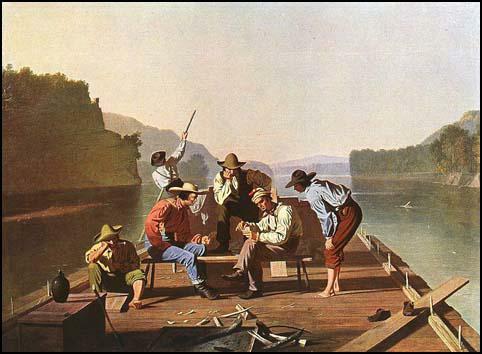 This included popular paintings such as Fur Traders Descending the Missouri (1845), Boatmen on the Missouri (1846), Raftsmen Playing Cards (1847) and Daniel Boone Escorting Settlers Through the Cumberland Gap (1851). Bingham also spent time in Germany (1856-58). Bingham joined the Union Army during the American Civil War. On 21st August, 1863, William Quantrill and his Quantrill Raiders carried out one of the worst atrocities of the war when he attacked the town of Lawrence. During the raid Quantrill's gang killed 150 inhabitants and destroyed over 180 buildings. The district Union commander, General Thomas Ewing, was furious when he heard what had happened. On 25th August 1863, he issued Order No 11. This gave an eviction notice to all people in the area (Jackson, Cass, Bates and Vernon counties) who could not prove their loyalty to the Union cause. Ewing's decree virtually wiped out the entire region. The population of Cass County dropped from 10,000 to 600. George Caleb Bingham, was appalled by the consequences of Order No 11 and wrote to General Thomas Ewing saying: If you execute this order, I shall make you infamous with pen and brush". In 1868 Bingham painted a picture on Ewing's crime. 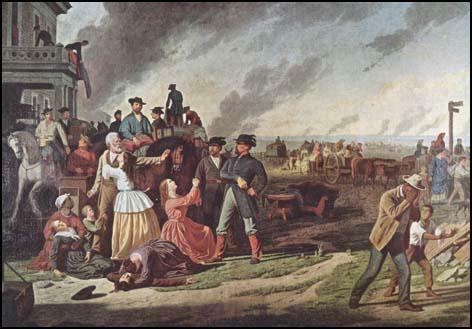 Frank James, who had taken part in the Kansas raid, commented: "This is a picture that talks." In 1877 Bingham became Professor of Art in the University of Missouri. George Caleb Bingham died on 7th July, 1879.